Die Entsperrung Huawei Y330 mit einem Code ist sehr einfach. Das ist auch eine einzige und sichere invasionsfreie Methode um SIMLOCK zu entfernen. Der Code zur Entsperrung eines Huawei Y330 Telefons kann man nur aufgrund der IMEI-Nummer erhalten. Diese erscheint nach Tastatureingabe von *#06# oder nach dem Herausnehmen des Akkus. Die IMEI-Nummer befindet sich auf einem Informations-Klebezettel, wie auf diesem Bild zu sehen ist. Hat super geklappt Der erste Versuch war schon erfolgreich Gerne wieder. 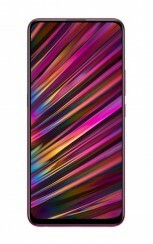 Wie kann man Code in das Huawei Y330 Telefon eingeben? It works properly. It is the best for unlocking phones. Am glad that the code you sent to me worked successfully, thanks a lot for your nice services and good customer services though previously I felt little bit nervous to pay for the code that am going to loose my money, but I admit that your words can be trusted at least for now. Thanks a lot. Buenas tardes, Excelente respuesta y muy contento, gracias por su trabajo, espero volver a contar con ustedes en algún momento. Que dire autrement que : PARFAIT PROPRE et un GRAND BRAVO. Codes livrés dans les temps initialement prévus. Site d'une honnêteté irréprochable. Je recommande le site qui m'a dépanné. Je reviendrai dès que l'occasion se fera sentir. Agréablement surpris par leur efficacité. Excelente servicio de liberación. Muy confiable y mas economico . gracias, confíen que si funcionan los códigos. Worked like magic.... My 3rd phone to be unlocked by this site and I have no complaints. Nice. I got 4 codes. The first code itself worked. All within 24 hours. Thanks. Sans problèmes, obtention des codes de désimlockage pour Huawei Y330 en 1 jour et demi. Ces codes fonctionnent parfaitement. Site de déblocage pas trop cher est sérieux, à recommander. 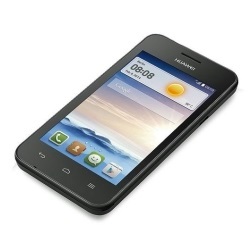 Huawei-Y330, Placed order yesterday in the late evening. Got the reply today 11:40 am. Followed the instructions: reset key, then unlock code. My phone is unlocked after second attempt. 5 stars and + because "former carrier information" was not needed. Thanks. This really work for me and I got the code in the time that the suggested. Worked with the 1st code. Ordered in the evening, in the morning it was there. Great job guys for correct price. i placed order about 9pm and the code arrived by 4am so less than the stated time. In the email were 3 codes and a rest key (also a number code). As per instructions I entered all 3 of which none worked but then again as per instructions I entered the first one again and that worked. Great for me with all 10 attempts available but not so great for someone with say only 3 tries left. From memory this was warned of before purchase but something to bear in mind if you are considering. Еverything happened very quickly and accurately. Тhanks a lot. excelente servicio, muchas gracias por todo. The service was excellent. I received the unlock code promptly and I succeeded to unlock my phone with the first attempt. Thank you. Z³o¿y³em zamówienie a nastêpnego dnia telefon zosta³ odblokowany. Uda³o siê od razu po otrzymaniu kodu. I must say i am now overwhelmed with gratitude for your trust worthy services offered. Now, due to my experiences, I have initialized to start a new business by marketing a phone unlocking service in my scheme, so I will be here more often to run this business. Thanks for co-operating. I hope in the future i will be getting discount base on my frequent access. Nice service.